All Free ISO Creator is an excellent fully functional conversion tool to create ISO image for permanent data backup from your existing files and folders. All Free ISO Creator allows the users to create bootable disc & ISO files at high speed. All Free ISO Creator supports ISO-9660 level 1 & 2 and ISO-9660 + Joliet UNICODE name extension. Having a very easy-to-use and understandable interface, it provides buttons to rename files and delete them. ...... Having a very easy-to-use and understandable interface, All Free ISO Creator provides buttons to rename files and delete them easily. 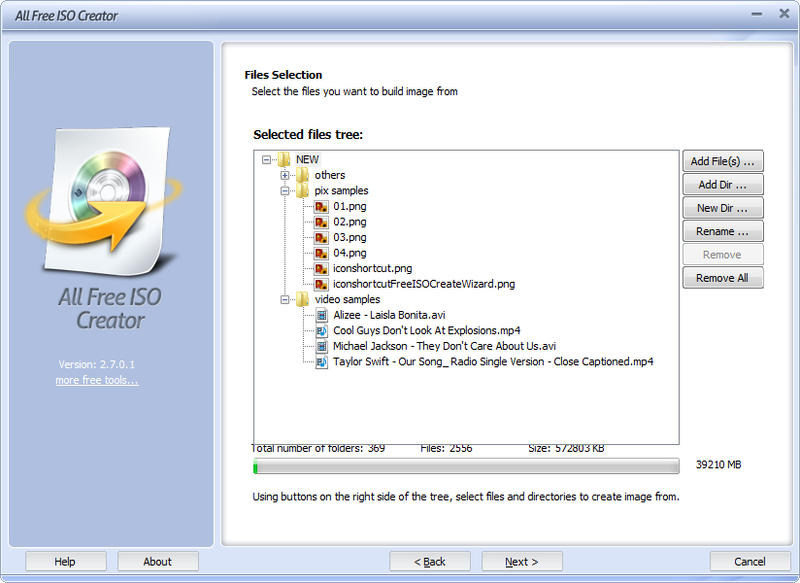 All Free ISO Burner helps you make ISO image from files and folders with optional file systems. It is able to create bootable disc. All Free ISO Creator provides wizard instructions to operate with ease and high-speed creation with detailed log. All Free ISO Creator enables you to create ISO image from existing data of any kind and folders with subfolders. ISO-9660 level 1 & 2 and ISO-9660 + Joliet UNICODE name extension are supported. There is an option to create bootable disc with floppy boot image. A straightforward file tree is provided to add whatever data and folders you want - you can rename or delete the added files. Computer Aided Design of random mazes with solutions to be printed or exported. Qweas is providing links to All Free ISO Creator 3.0.4 as a courtesy, and makes no representations regarding All Free ISO Creator or any other applications or any information related thereto. Any questions, complaints or claims regarding this application All Free ISO Creator 3.0.4 must be directed to the appropriate software vendor. You may click the publisher link of All Free ISO Creator on the top of this page to get more details about the vendor.